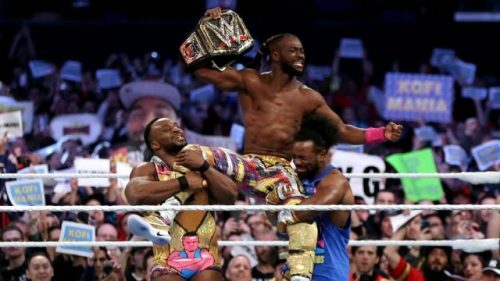 Kofi Kingston was the man of the weekend for wrestling fans both in the greater New York City area as well as across the globe. Andreas Hale and his crew at Sporting News took the time to put together a video package of fans of all creeds and color celebrating Kofi’s historic WWE Championship win at WrestleMania. They’re right after Kingston gets the 1-2-3 on Daniel Bryan and clips are mixed in with Kofi’s impassioned speech to fans at WaleMania V on Thursday night at Sony Hall in NYC.